Do you want to have a home that combines the best sides of ownership and renting? 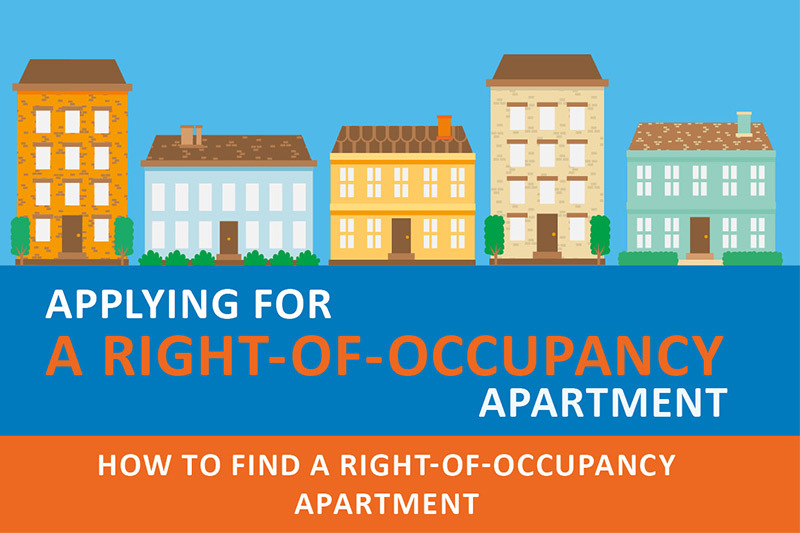 A right-of-occupancy home is as carefree as a rental home and as safe as an owner-occupied home. You pay a monthly residence charge for a right-of-occupancy home; the charge is lower than the general level of rent in the area. In addition to the monthly residence charge, at the outset you pay a right-of-occupancy fee, equivalent to 15 % of the home's purchase price. A right-of-occupancy contract is accepted as collateral for a loan, and the interest on the loan is tax deductible. No asset transfer tax is payable on the right-of-occupancy fee. If you want to give up your right-of-occupancy home, you will be refunded with the original right-of-occupancy fee adjusted with the building cost index no later than three months after we received the written notice of assignment. Your entitlement to getting a right-of-occupancy home is not limited by your income. There are wealth limits, but they only apply to people under 55 years of age. The home size has not been limited, which means that you can get whatever you need right away. 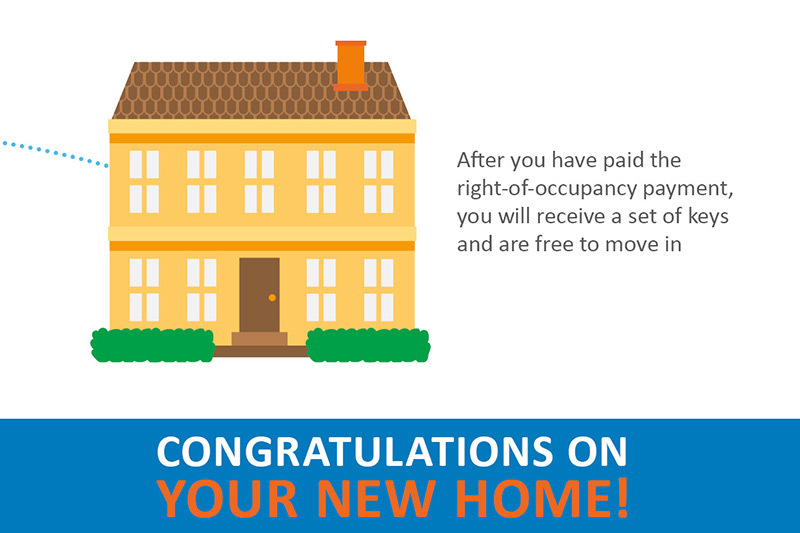 You can get a right-of-occupancy home if you are at least 18 years of age and do not have an owner-occupied home that can be considered similar to the one you are applying for in the same area. You may neither have so much wealth that you could buy an owner-occupied home that meets your needs. In order to get a right-of-occupancy home, you will need a right-of-occupancy queue number obtained from the housing office of the city of municipality in which you are applying for a home. 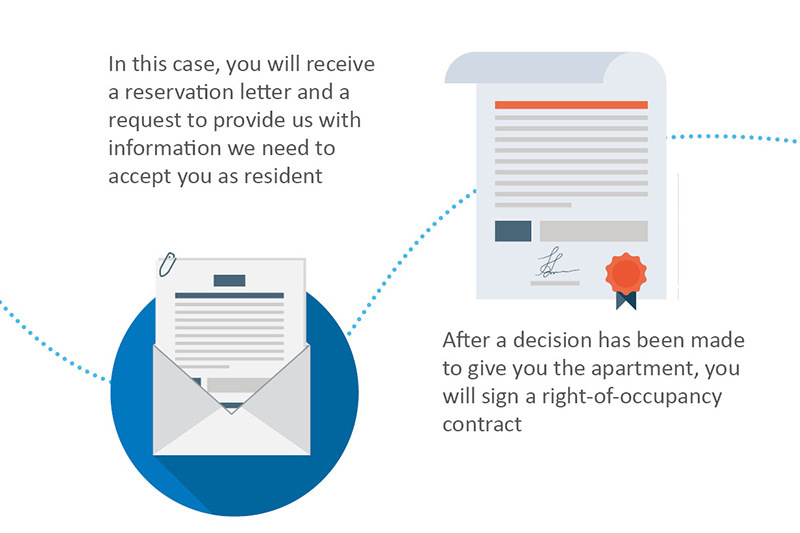 Once you have received a queue number, see what we have to offer and submit a right-of-occupancy application to homes that interest you. 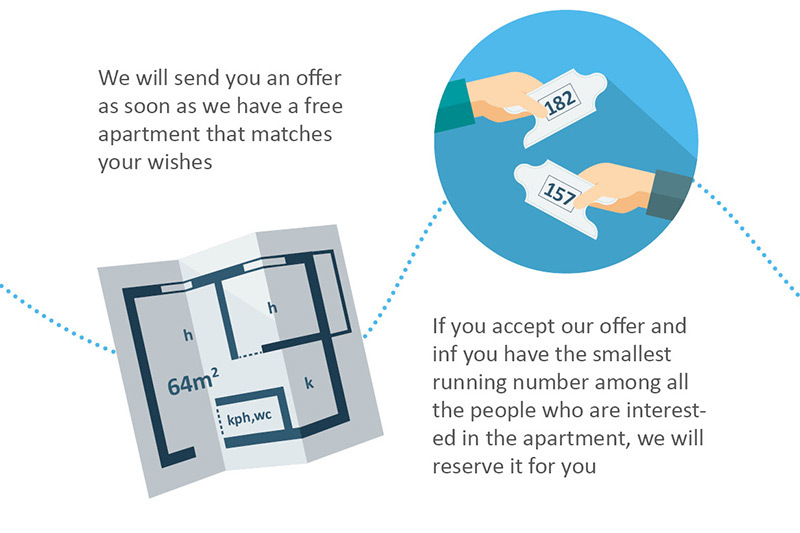 Then just wait for offers based on your preferences to come in. If the kind of home you are seeking is not available at the time or soon after, your application will remain in the queue. Learn about homes available through us right away or soon by using the search box. 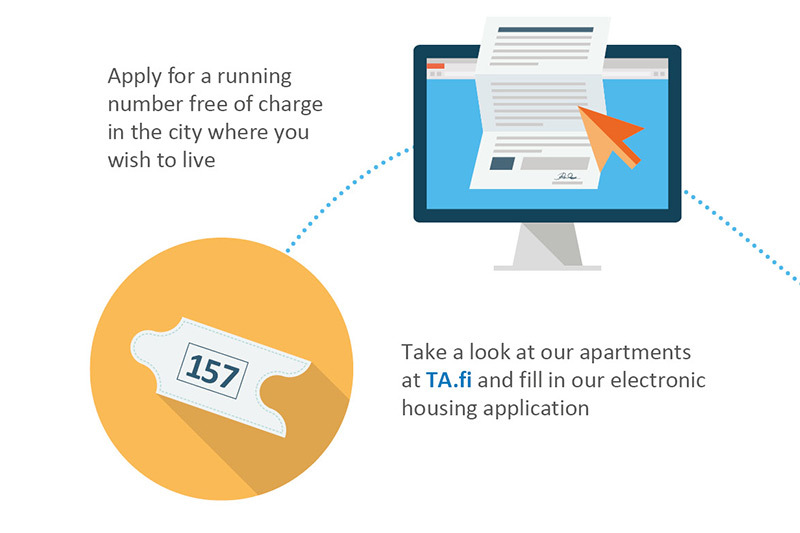 You can apply for a right-of-occupancy home here (only in Finnish).